With a beloved natural landmark in danger, the Howard sisters must find a way to save the beauty of God's creation. When an out-of-state developer wants to drain Fairy Pond -- a beloved piece of Acorn Hill's past -- and put in a gas station, a storm of protest rises up. But while most residents are opposed to destroying the idyllic spot, some businesspeople are in favor of the added commerce a gas station would bring. With the town divided, Mayor Lloyd Tynan is having a hard time keeping everyone happy, but when the stress starts to affect his health, the fight over Fairy Pond takes on a new urgency. With the mayor out of commission, who will champion the cause of saving this natural wonder? 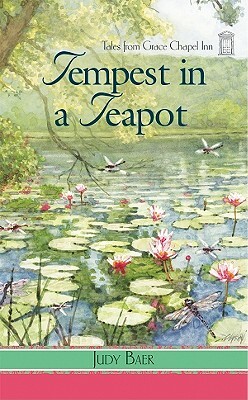 A recluse who lives by the pond has some answers, but his strange history with Louise complicates matters. As the Howard sisters take charge to fight the development, help arrives from an unexpected source and reminds the whole town of the wonder of God's creation.